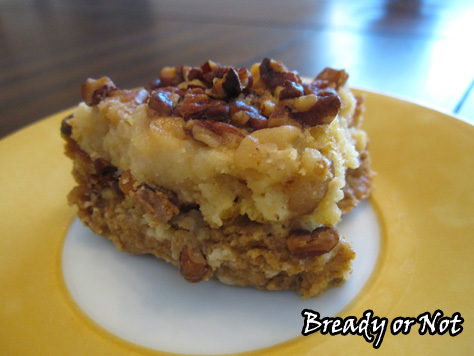 If you love quick and easy dump cakes, let me introduce you to one that is full of pumpkin goodness. Last year I went through a stack of old issues of Betty Crocker magazine. I sliced out recipes that looked promising. This was one of them. I was amazed at how easy this recipe was. It literally came together in the time it took for the oven to preheat. 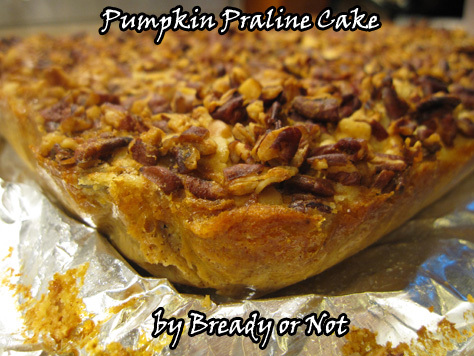 The flavors and texture are amazing: you have a cakey base topped with spicy pumpkin custard, with a nutty-crunchy layer atop. Plus, you can cover it with plastic wrap and keep it in the fridge for days! It tastes even better after a day or two. The spices meld with everything. My husband took this cake to work. He returned with an empty dish. The guys raved about it. If you like pumpkin, if you like cake, this is the way to start your fall off right. This super-fast dump cake recipe is perfect for autumn with its spicy pumpkin custard and praline crunchy top. Make it days ahead of time–it keeps very well in the fridge! Preheat oven to 350-degrees. 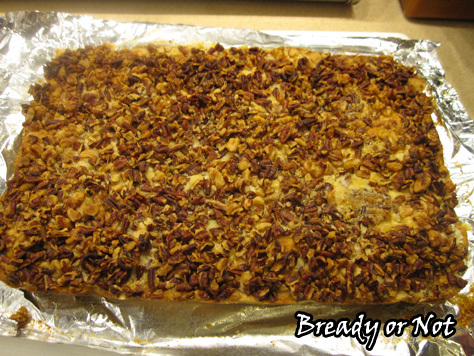 Prepare a 13x9-inch pan by lining with foil or parchment and then greasing it well with Pam or butter. In a large bowl, beat together the pumpkin puree, evaporated milk, eggs, sugar, and pumpkin pie spice. It should be smooth. Pour it into the pan. Sprinkle the dry cake mix over the pumpkin goop. Sprinkle the nuts all over the top. Pour the melted butter evenly over everything. Bake for 50 to 60 minutes, until a knife in the center comes out clean. Let cool to room temperature, then cover and refrigerate. Cut and serve from the pan; warm slices in the microwave, if desired, or eat cold. 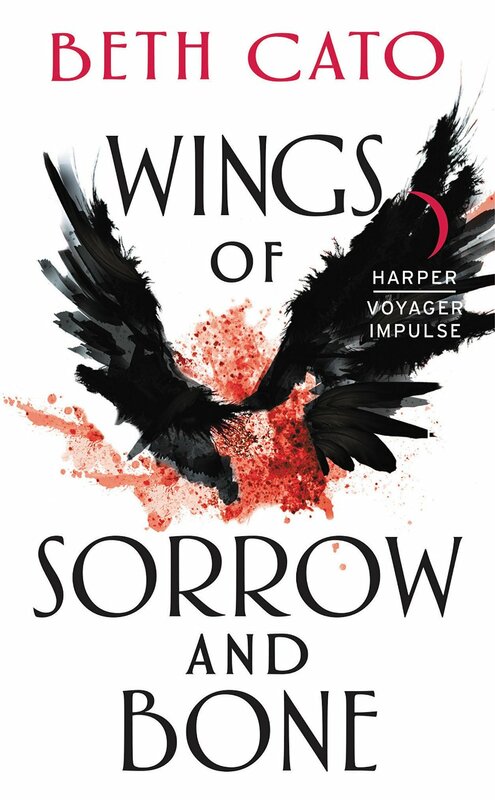 I’m happy to share the cover for my Clockwork Dagger novella, Wings of Sorrow and Bone! When you need maple goodness whipped up quickly with no baking involved, here’s your go-to recipe: Maple Nut Butter No-Bakes. I had PB & Co Mighty Maple Peanut Butter, so I went with that to add some maple oomph. You can use various nut butters here, but avoid the natural kind where the oil separates. That would make these too dry and probably make it turn out weird. I made these because I needed to create goodies on a quick timeline, so I put them in the fridge straight away, chilled them for an hour and a half, then sliced them. The bars crumbled some, I think because I didn’t chill them long enough. They were still mostly intact, though, and tasted fabulous. Therefore, I highly recommend these get to cool down at room temp and then have a few more hours in the fridge, just to solidify things and make the end result a little prettier. The taste is what matters most, though. 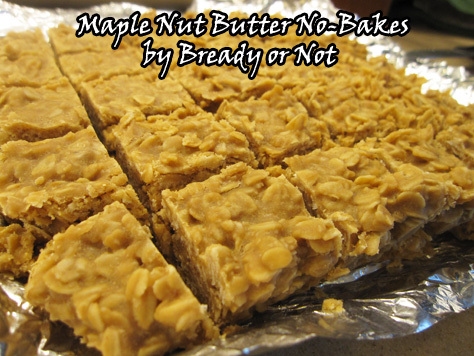 If you love maple, you must make these bars. It’s maple candy. 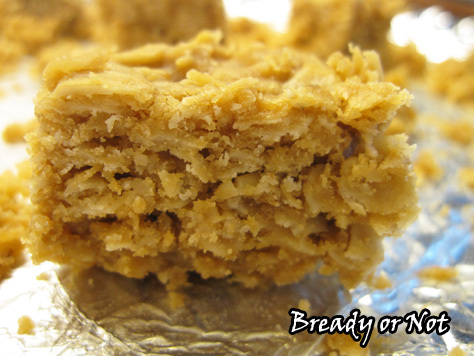 Sweet, chewy, maple candy. With autumn nigh, these are perfect to whip out for any of the forthcoming holidays! 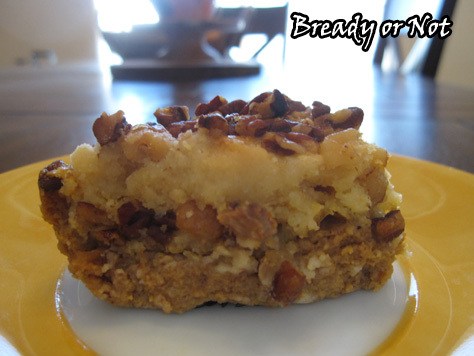 Modified from Maple Almond No-Bakes at Lovely Little Kitchen. 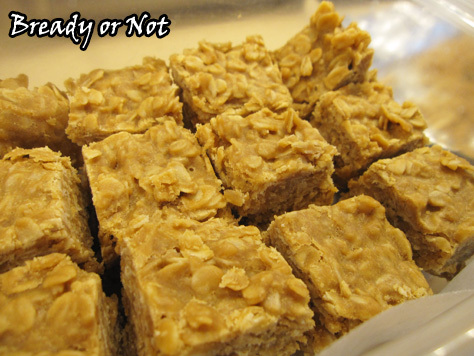 These no-bake bars come together in about ten minutes to create a candy that’s a fusion of maple, nut butter, and oats! These things are seriously sweet and delicious, and will keep for weeks if sealed in the fridge. 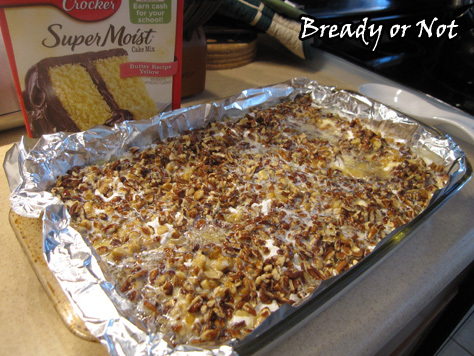 Prepare an 8x8 or 9x9-inch baking dish by lining it with foil or parchment paper then greasing it. 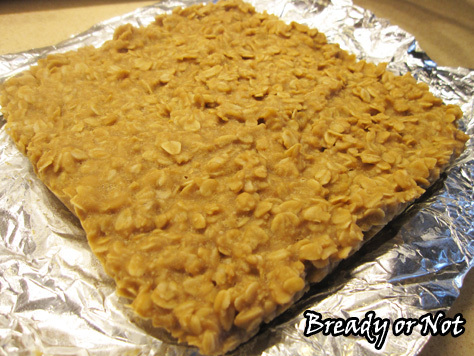 Measure out the maple flavor and oats so they are ready to add quickly. In a medium pan, bring the butter, sugar, almond butter, and milk to a boil over medium high heat. Stir frequently. Bring the mix to a full boil for one minute, stirring constantly, and then removed from the heat and stir in maple extract. Immediately add the oats and stir thoroughly to coat everything. Glop the mixture into the baking dish. Cool at room temperature and then chill in fridge for several hours until it is firm. Use the foil or parchment to lift out the bars for easy cutting. Best served chilled. 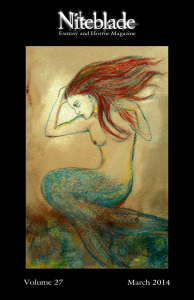 Posted by Beth on Sep 22, 2015 in anthology:poem, awards, Blog | Comments Off on I’m Horrific! I was pleasantly surprised yesterday to find that my name was listed on Ellen Datlow’s full recommended list from Best Horror of the Year Volume Seven. She singled out my poem “Bird Girl” from Niteblade Magazine issue 27. I find this especially meaningful because Niteblade’s most recent issue was their last. It’s wonderful to see the magazine garnering recognition like this.